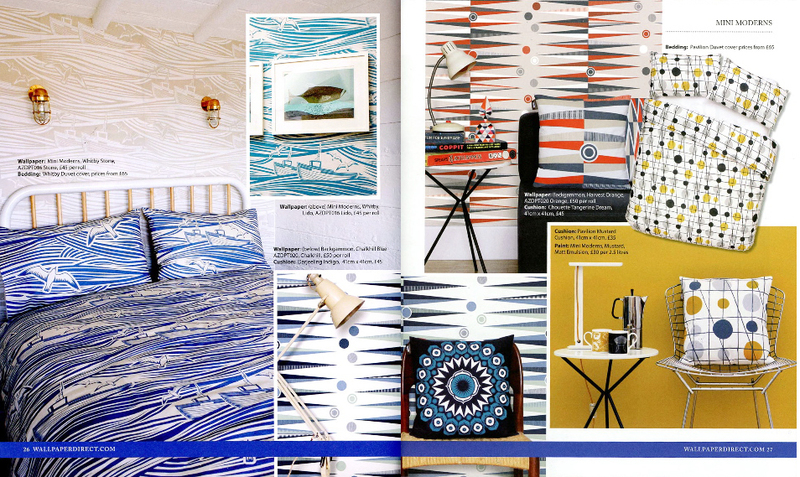 The new issue of Wallpaper Direct magazine includes a stunning six page feature on Mini Moderns ‘Hinterland’ collection, which will be available on the Wallpaper Direct website soon. 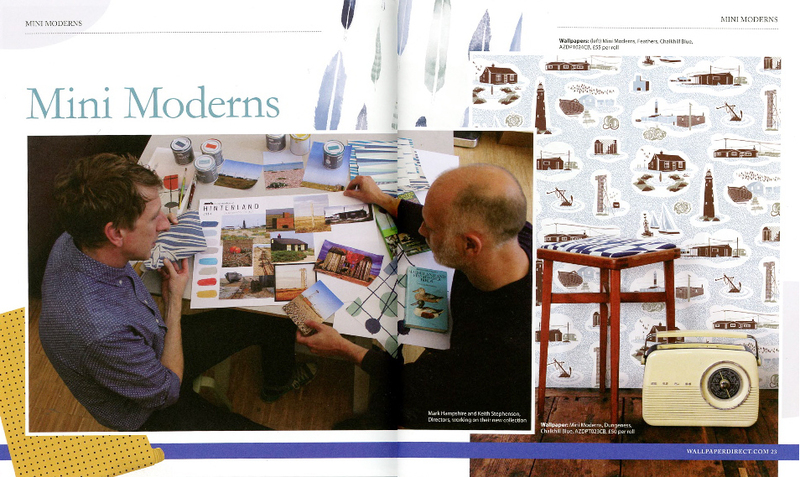 The article showcases the whole of the new range including ‘Feathers’, our collaboration with artist Matt Sewell. 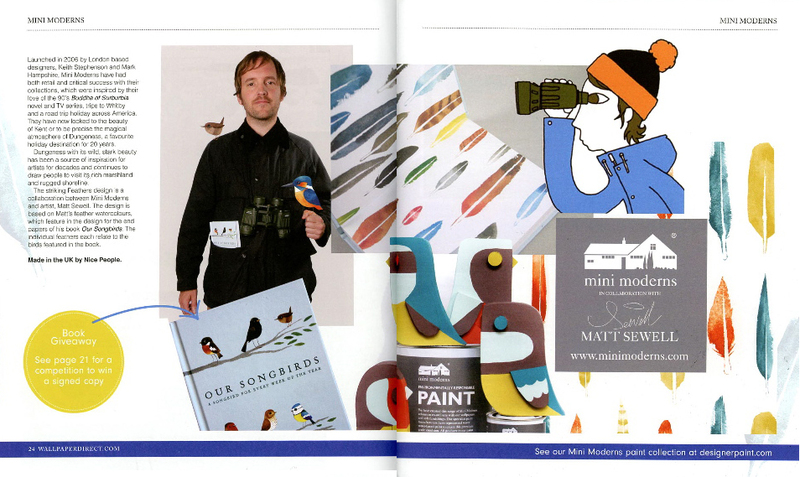 There is also competition to win a copy of Matt’s best selling book ‘Our Songbirds’. We are so excited to be featured alongside Designer’s Guild, Farrow and Ball, House of Hackney, Little Greene and Layla Faye.